Air conditioning is not a new idea. Servants of the Roman Emperor Elagabalus collected massive amounts of snow from nearby mountains, spread the rapidly melting snow throughout his gardens, then fanned the cool air onto him. Bright colors painted on walls and rooftops reflected a portion of the sun’s heat. Nothing about those processes was efficient, but it helped a little. We’re lucky to live in modern times, where air conditioning is both mechanically efficient and energy efficient. A push of a button brings blissfully cold air into our homes….that is, until that button stops working. 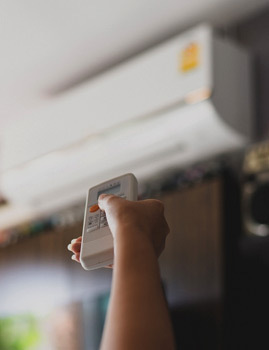 Don’t sweat it this summer — get your air conditioning fixed by the expert technicians at Home Mechanix. We offer comprehensive a/c repairs for all makes, models, and brands. More than four decades of industry experience means we have the knowledge to handle any issue, regardless of the size or complexity. As an authorized Amana dealer, we’ve got access to some of the most high-quality parts on the market, such as filters, capacitors, motors, and condensers. We’re also an authorized installer of Nest thermostats. While our team carries all the necessary parts for repairs, if we happen to be out of a particular part, we can usually get it to you within the same day. Should we need to replace your unit entirely, we’ll cheerfully remove it and recycle the old equipment and refrigerant. For more information or to schedule service, contact us online or by phone today. 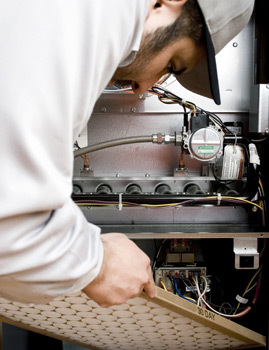 We have all the parts needed to perform your air conditioning repairs and we can make any repair you require. If we don’t have in stock the part you need, we can normally get it the same day. 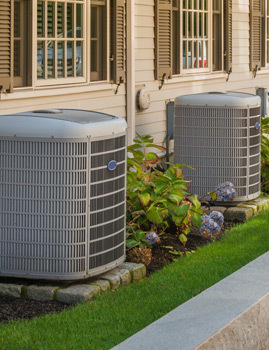 Since we’re an authorized Amana dealer, you’ll have access to some of the best parts and air conditioning systems available. 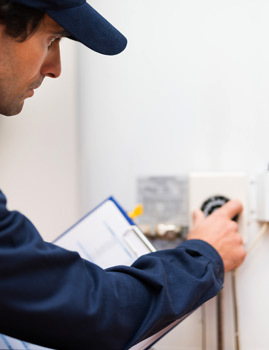 If your unit needs to be replaced, we’ll remove it and recycle the old equipment and refrigerant. Contact us today and talk to our professionals about how we can keep your home cool.